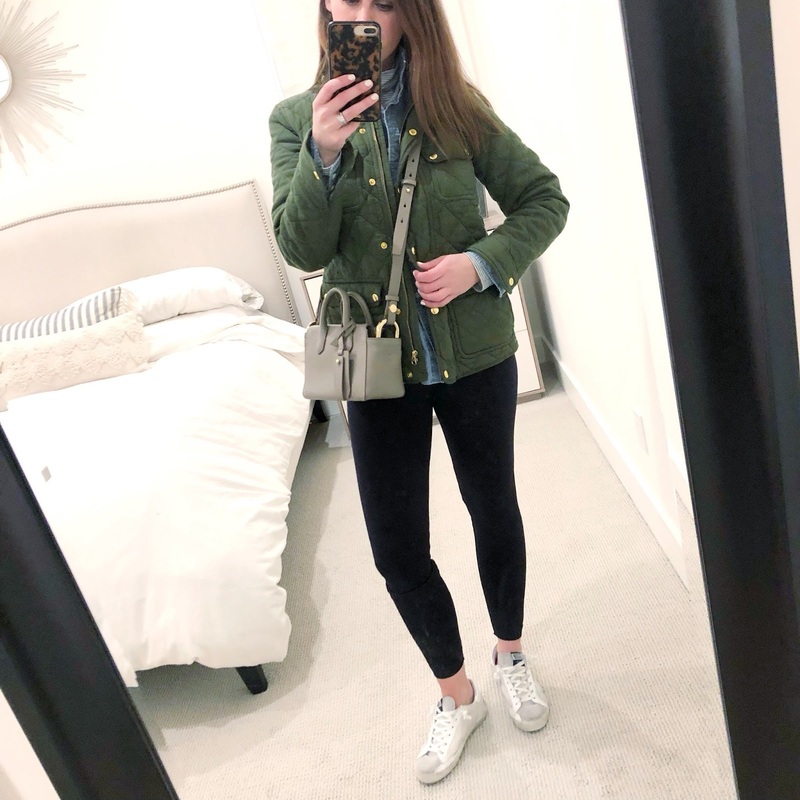 jillgg's good life (for less) | a west michigan style blog: 6 ways to style... a chambray shirt! 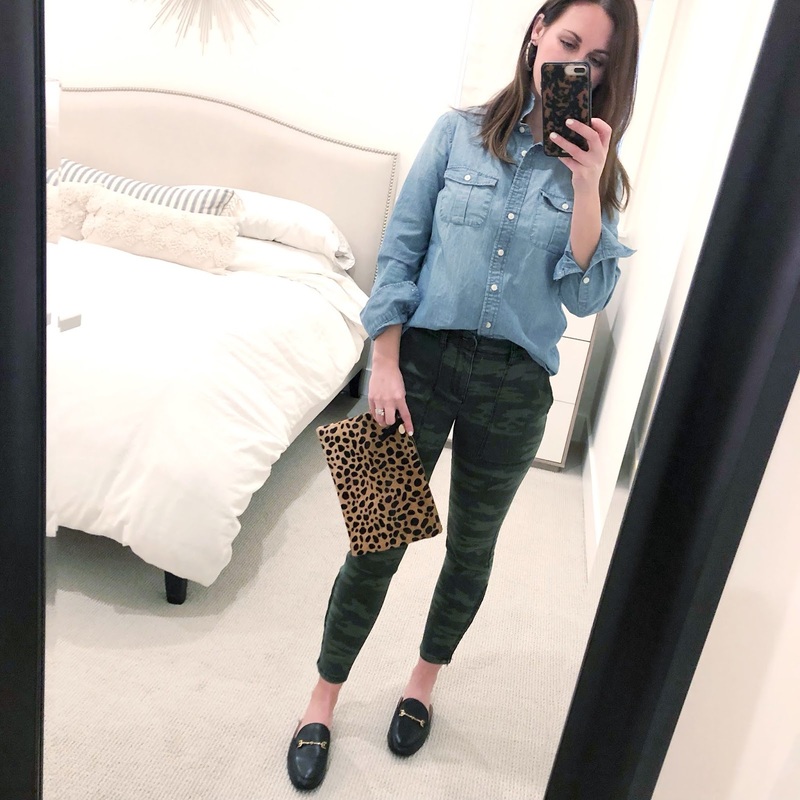 6 ways to style... a chambray shirt! 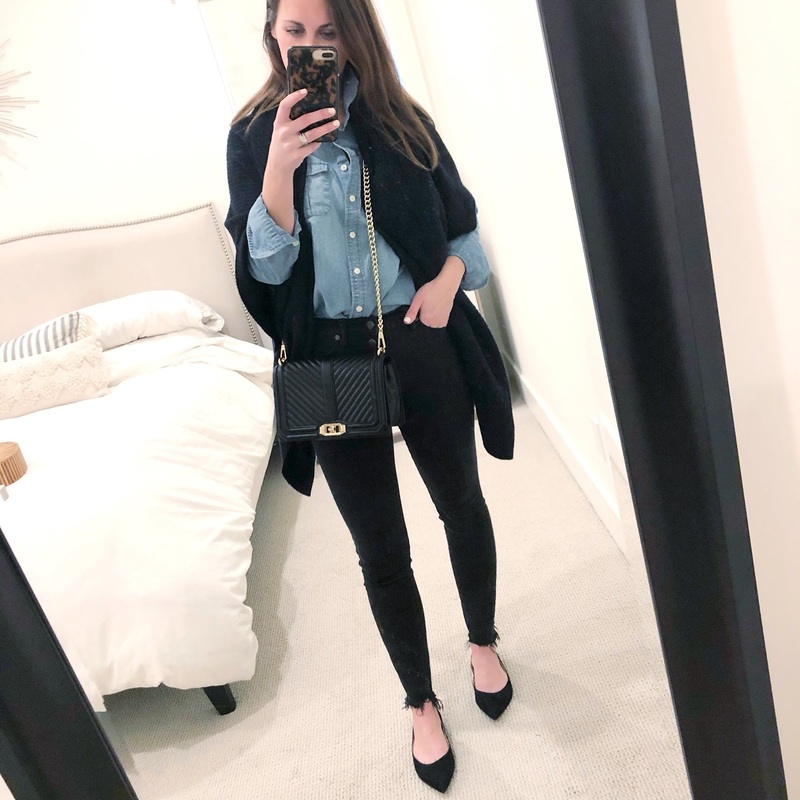 I recently posted 6 ways to style Spanx leggings and you gals LOVED that post! You can see the post here if you missed it. 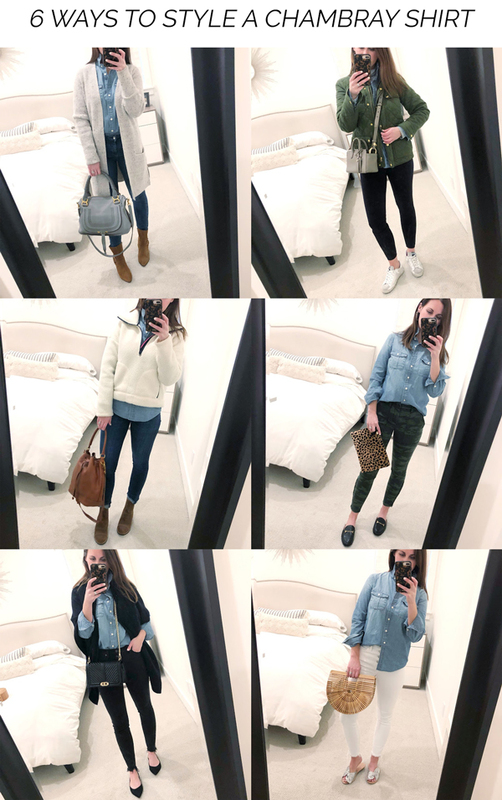 I thought I would do another similar post where I shop my closet and style one piece SIX ways, so I asked for your input on Instagram Stories earlier this week. I was overwhelmed with the response! Hundreds of you guys voted for which item I should style up and I tallied ALL of the results and the chambray top was a clear winner!!! I have LOVED chambray in all forms (tops, dresses, shorts, etc) for years. It's an absolutely classic and a great wardrobe staple to have on hand. 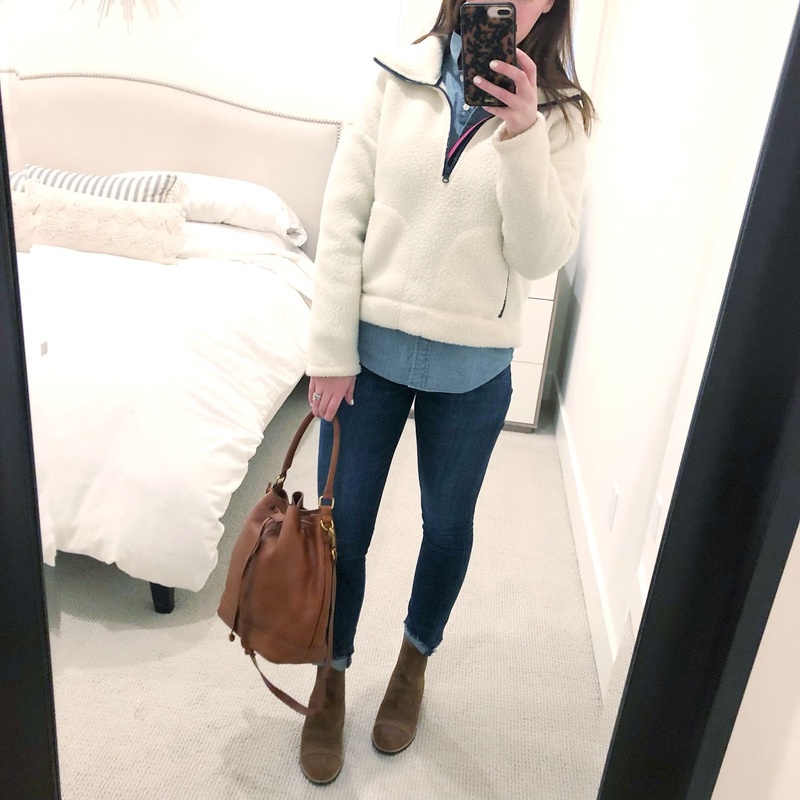 I wear mine (almost) all year round and this time of year it's especially great to have on hand because it's great for layering. 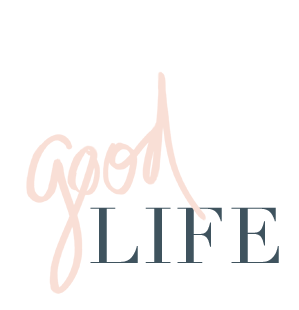 I pulled together 6 outfits all by shopping my closet with items I already own - so some items may be sold out but I will link similar items. ENJOY these six looks, I hope they make getting dressed easier for you in the coming days. 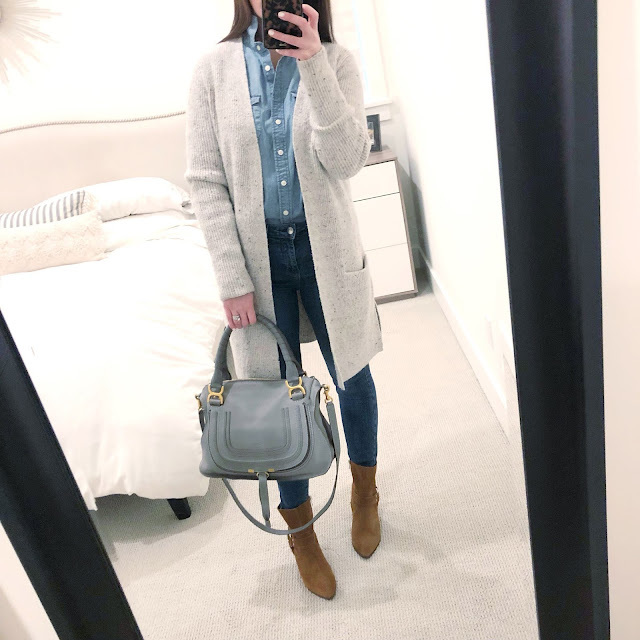 This is the time of year when our winter wardrobe feel a little drab, so it's always fun to mix it up and try new outfits with pieces we already own. I know there are quite a few looks here I can't wait to wear myself. It's almost impossible to choose a favorite because I genuinely love them all. 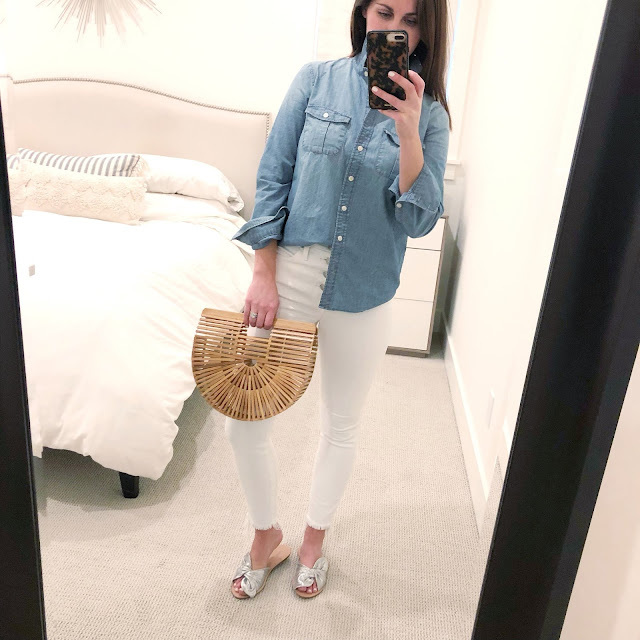 So tell me... now that you have seen leggings styled six ways and a chambray top styled six ways... would you like to see more? Once a month? Every other week? I'm thinking of making this a regular feature! So let me know! Also I had my son put together a little video of my Instagram Stories try on session here... it's not something I usually do but hopefully it's fun and helpful to see the outfits in action!